With the holidays just around the corner, I thought it would be nice to make a set that can be used as a hostess gift. I'm the type to be running around at the very last minute so I know this will come in handy. I find this set fun to make and would've loved to send them out all made up and nicely packaged but there is no way I can swing that right now. So that's why I decided to go with a printable version for now. I kept the design very simple, but it can be altered with paper and maybe a few strokes of a crayon if you have little ones that would like to help. 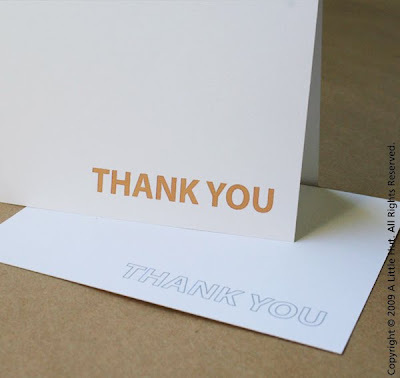 All the printable materials are included to make everything you see here: note cards, flats, gift tags and a plain envelope. 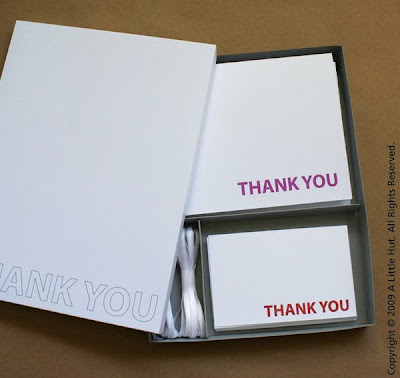 The templates for the box top, bottom and dividers are also included. Just pick paper, some ribbon and you're set! The cards, flats and gift tags are provided in four colors (orange, plum, red and gray) in a solid colored font and in outlined form. The outlined version can be used by kids that enjoy coloring. 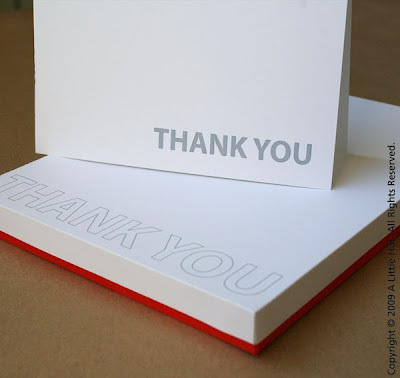 The base of the box is a good opportunity to show off any patterned or colored paper that you prefer. If you'd prefer to say Thank You in a different language I'd be happy to set that up at no additional cost—just send me a quick email. This set is now available in my online shop and Etsy. As a small thank you to all of you, leave a comment below and I'll be giving away a couple of PDFs of this set to two lucky winners. To make it fun, share your favorite hostess gift to give or to receive. I'll leave comments open until tomorrow at 9pm. I'll announce the winner on Thursday morning.